From right back when WikiLeaks first began publishing the information given to the public record by Chelsea Manning in 2010 until now, statements have been widely disseminated by officials, media, and other commentators in the public ear, concerning ‘harm’ to the United States and individuals from the publication of the documents. What this commentary inevitably lacks, however, is any supporting evidence. And this is not surprising, because there is no evidence that anyone has been able to come up with for such statements in nearly five years. And yet they continue to be churned out. 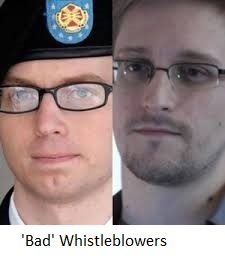 The latest commentator is Sean Penn, the movie chap, who, in this article, lauds Dan Ellsberg as a ‘responsible’ and ‘very informed’ whistleblower (by contrast with Manning and Snowden), but apparently hasn’t noticed that Ellsberg himself is one of the most outspoken supporters of both Chelsea Manning and Edward Snowden, not to mention Julian Assange, who is singled out by Penn for even greater vilification for having the gall to have founded the media organisation to publish the information. 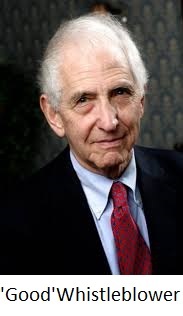 Even a cursory glance at what Ellsberg has been up to recently will show, however, that he obviously considers them all to have made huge, historic and overwhelmingly beneficial contributions to the world. So maybe Penn should listen to what his ‘good’ and ‘very informed’ whistleblower has to say on the subject. And after Chelsea Manning’s Court Martial in 2013, there is even less excuse for people to keep trotting this harmful ‘harm’ stuff (against Chelsea Manning, Julian Assange and/or WikiLeaks in general) out. 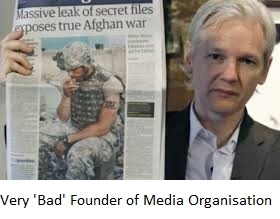 And such uncorroborated woffle is actually harmful, because, apart from the damage from such irresponsible hearsay to the brave individuals in question, whose lives are already on the line, attempting to discredit such whistleblowing plays right into the hands of the elites whose wrongdoing was (and continues to be) exposed by the courageous work of WikiLeaks and whistleblowers; one of the few ways in which the vastly asymmetric imbalance of power between the powerful and the powerless is ever adjusted. And Chelsea’s Court Martial demonstrated conclusively that there is no such evidence. Despite prosecutors’ best efforts, they were completely unable to support with any evidence at all the infamous statement made by Admiral Mike Mullen, Chair of the Joint Chiefs of Staff in 2010, that Chelsea and WikiLeaks likely had ‘blood on their hands’, as this report from the Court Martial by Adam Klasfield of Courthouse News shows. And in general, despite a vast US government interagency investigation, and having had 3 years and huge resources to look into the effects of all the document releases, at Chelsea’s court martial the US Government failed entirely to bring any evidence of harm derived from the publication of any of the documents. Moreover, as the recently published exhibits from the court record (obtained by Alexa O’Brien by FOIA on 4th April 2015 and published by her here) show, there are plenty of indications that top level officials did not believe that the releases were harmful. The statements on the videos below are from key individuals at the US Dept of State all commenting on the effect on US Foreign Policy of the publication of the documents, especially Cablegate – the 250,000 US diplomatic cables that Chelsea Manning gave to WikiLeaks for public release. how the first world exploits the third, in detail, from an internal perspective.. They have been used repeatedly (and are still being used) by those with a concern for human rights and justice in the world, in umpteen media reports, and by activists (such as in the Tunisian Revolution). The unique picture they give of geopolitical affairs has been invaluable as a public resource for anyone wanting to understand the background to significant world events, and/or to participate in the struggle for justice. Wonder if Sean Penn (who, according to the article, has been involved in humanitarian work in Haiti, and is Haiti’s ‘ambassador at large’) knows about the cable that told us what the US State Department had been up to in Haiti, one of the poorest and most beleaguered countries in the world? Because it is from Cablegate that we learned how, in 2009, the US State Dept backed corporate opposition to a Haitian minimum wage law. Leaked diplomatic cables show that in 2009, the U.S. Embassy in Port-au-Prince pushed then-Haitian President Rene Preval to come out in support of powerful textile manufacturers who sought to block a popular minimum wage increase. These factory owners, who produce apparel for large brands like Nike and Nautica, had benefitted from recent free trade agreements that had severely lowered wages and working conditions in Haiti. A series of cables show that the US Embassy closely monitored the movements and activities of student protestors supporting the $5/day minimum wage bill. The bill’s supporters had argued that the increase was justified in light of rising inflation and food costs that had led to widespread starvation. The commentary below from State Dept officials clearly demonstrate that the hysteria about damage to the United States from the release of the cables is just that. As Robert Gates acknowledged, the release can more appropriately be called ‘embarrassing’ and ‘awkward’ for the United States. The videos were used by Chelsea Manning’s Defence at her Court Martial as evidence of just such a lack of harm. I think the State Dept, though, has avoided the chilling effect that you are/were directly addressing. For example, if I might – during the period of time we had posted, as you all mention, some 250,000 cables to this database –posted to the DoD SIPRnet. During that same period of time we disseminated 2.4m cables – 10 times as many – through other systems to 65 other US govt agencies. So therefore, while we stopped disseminating on SIPRnet for the reasons my DoD colleagues have outlined, we have continued to disseminate to the intelligence community system – the JWIC system – and we’ve continued to disseminate the same volume of material to these same other agencies based on their need for that information. I can assure you that we at State remain committed to fully sharing our diplomatic reporting within the interagency with safeguards that are reasonable, pragmatic and responsible. The WikiLeaks affair? Is the State Dept still recovering from Cablegate? Y’know – here is the big headline from WikiLeaks: WikiLeaks revealed massive right doing by American diplomats. I think what WikiLeaks demonstrated is that our diplomats are very good at their job – that what we’re doing privately is what we say we’re doing publicly. So I don’t think that there’s much to recover from. I think the US has nothing but pride in the work that our diplomats have done, and I don’t think there’s anything that has been revealed that should contradict that. Now I’ve heard the impact of these releases on our foreign policy described as a melt-down; as a game changer and so on. I think those descriptions are fairly significantly overwrought. The fact is govts deal with the US because it’s in their interest – not because they like us, not because they trust us and not because they believe we can keep secrets. Some govts deal with us because they fear us, some because they respect us, most because they need us. We are still essentially the indispensable nation, so other nations will continue to deal with us, they will continue to work with us. We will continue to share sensitive information with one another other. Is this embarrassing? Yes. Is this awkward? Yes. Consequences for US foreign policy? I think fairly modest. Diplomatic Cables are not policy; they are meant to inform – they are not always accurate – they are passing on information for whatever it’s worth and I think most leaders understand that – and I have found no hesitancy and in fact I’ve had intense and very detailed conversations in the four stops that I’ve made on this trip.